I’m so excited to talk to you today about giving the gift of a lifetime this Christmas. As you all already know, I’m obsessed with Christmas, and one of my favourite parts is making sure that I buy my loved ones something they’ll really treasure. I think it’s super important to have a little luxury at Christmas and it needn’t break the bank. A good friend of mine once told me a story (and I’m sure she won’t mind me telling you) about how when she and her husband had very little money one Christmas time, years ago, they agreed to a limit of only £25 to spend on each other with one stipulation, it had to be a luxury thing that due to their financial situation, they’d never buy for themselves. He bought her a Chanel lipstick and she bought him a bottle of his very favourite wine, as she was telling me this story I remember feeling sad for them, that they only had one present each and I really struggled to believe her when she said that that had been her best Christmas so far, considering she’s incredibly wealthy now. It’s only now, I’m that little bit older and wiser, I can appreciate the sentiment behind the tale. It’s actually a clever way of thinking about Christmas and something I’ve tried to bring into this family. If I’m to spend £100 on my husband, I make a point of buying something for £100 with the wow factor, something ostentatious and luxurious, that he’d just never buy himself. I do not buy him books, socks, chocolates and smelly toiletry sets. I buy him expensive martini glasses for his favourite tipple instead, a sumptuous leather wallet or a very posh pen that I know he’ll use everyday. 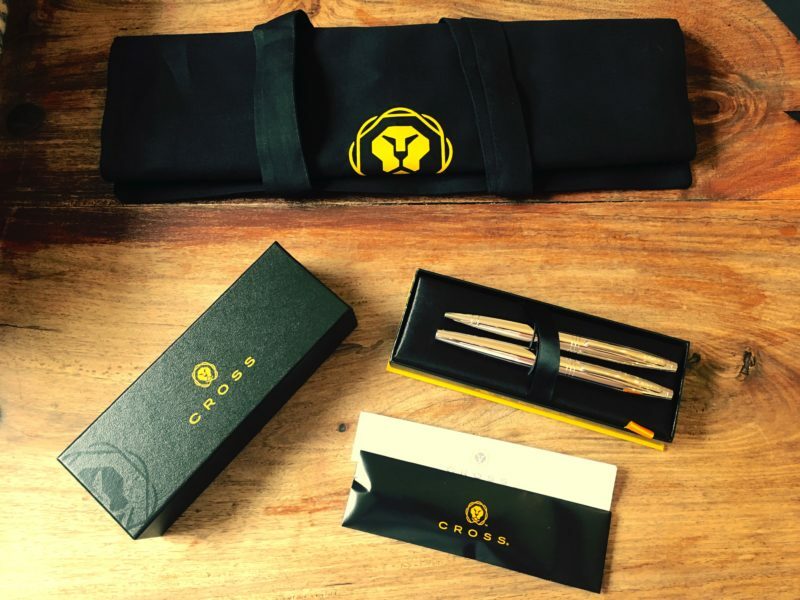 When it comes to posh pens there’s certainly only one place to shop, Cross. I’m really looking forward to giving the gift of a lifetime to my husband this Christmas, in the form of this gorgeous pen set. The Cross Calais Gift Set includes a ball point and a fountain pen in either new satin black or polished chrome. With personalisation available, this duo proves that good things really do come in pairs. That’s why I’m in love with Cross this Christmas, truly beautifully presented luxury, each Cross writing instrument comes with a lifetime guarantee. 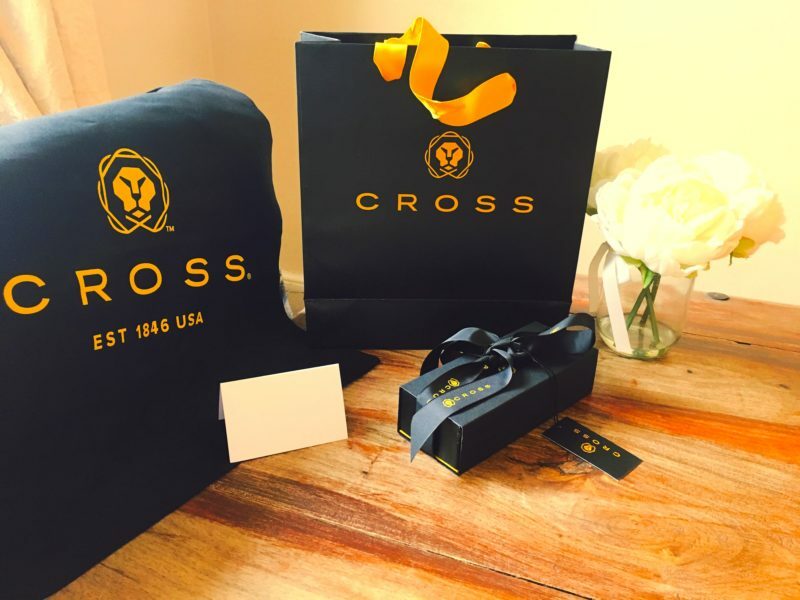 The Cross Christmas collection includes gifts for every taste and style. The Cross Christmas collection can be purchased online at www.cross.com and at select retailers. Access the online store locator for more details. 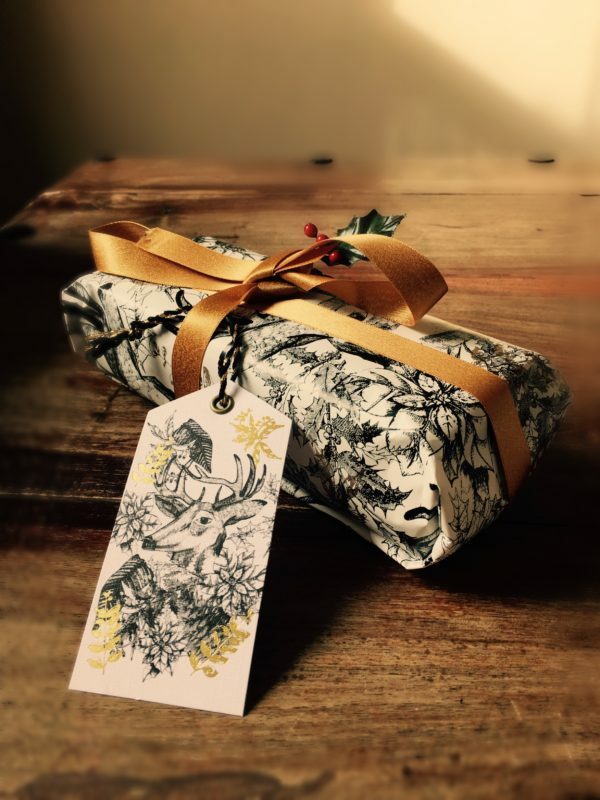 Now, we’ve covered how luxury is important for all budgets, large and small this Christmas, but equally important is of course, the gift wrap. I don’t know about you, but I really like the gifts I give to look like little works of art. I love using premium paper, flocked ribbons and sparkly bows. They also look spectacular under the tree when they’re all wrapped so well. So, to add even more of a luxurious touch to my husband’s Cross Calais Gift Set, I headed to Paperchase. I absolutely adore that store, I can happily while away a good chunk of a Saturday afternoon in that shop, because everything is just so pretty! I decided to use this beautiful Woodland Stags theme as inspiration and this is where Paperchase has really impressed me this year, it’s surprisingly difficult to find Christmas gift wrap that isn’t too feminine and pretty. To wrap this beautiful pen set, I was looking for a neutral woodland theme that wasn’t too twinkly, this is just perfect for dressing any gifts of a lifetime you’re giving this Christmas, especially if any are for the man in your life, I also think that they look really sophisticated topped with these coordinating ribbons. 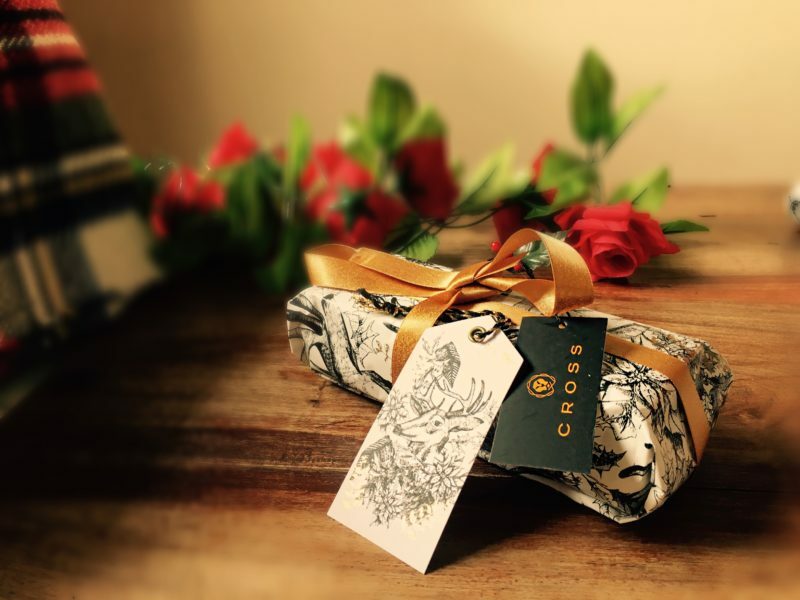 So, if you’re looking for inspiration and you want to give the gift of a lifetime I suggest you head over to Cross and check out their Christmas collection!